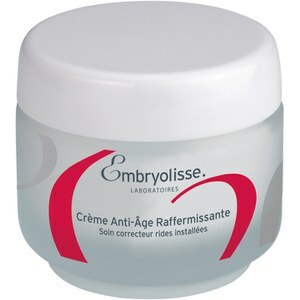 Rediscover your skin's youthful capacity with Embryolisse Anti-Age Firming Cream, a rich, non-greasy formula dedicated to toning and firming the skin for a youthful appearance. Combining soluble collagen with hyaluronic acid, the anti-ageing cream visibly firms the skin, adds density and boosts elasticity for a re-sculpted, younger looking complexion. 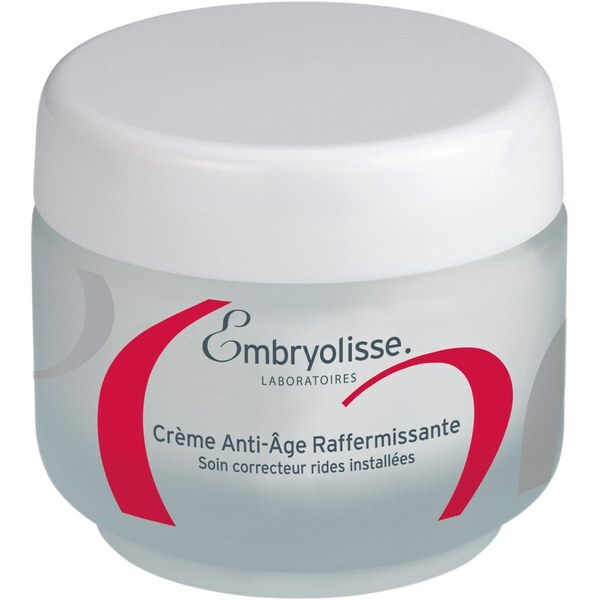 Helping to tone and reduce wrinkles, the firming cream will leave your skin soft and nourished. - K.N. Soluble collagen, hyaluronic acid, sweet almond and avocado oils, vitamins A, E and F, shea butter, beeswax. Symdiol 68T paraben-free complex. Aqua (Water). Soluble Collagen. Caprylic/Capric Triglyceride. Propylene Glycol. Glycerin. Glyceryl Stearate Se. Butyrospermum Parkii (Shea) Butter Extract. Tridecyl Stearate. Tridecyl Trimellitate. Dimethicone. Persea Gratissima (Avocado) Oil. Prunus Amygdalus Dulcis (Sweet Almond) Oil. Cetyl Alcohol. Glyceryl Stearate. Peg-100 Stearate. Dipentaerythrityl Hexacaprylate/Hexacaprate. Stearic Acid. Carbomer. Palmitic Acid. Triethanolamine. 1,2-Hexanediol. Caprylyl Glycol. Tocopheryl Acetate. Polyacrylamide. Allantoin. C13-14 Isoparaffin. Disodium Edta. Phenoxyethanol. Parfum (Fragrance). Polysorbate 20. Retinyl Palmitate. Laureth-7. Arachis Hypogaea (Peanut) Oil. Sodium Hyaluronate. Tropolone. Linoleic Acid. Tocopherol. Oleic Acid. Linolenic Acid.